This is my first attempt at reviewing an album so bear with me. 2NE1’s 1st full album is out and Blackjacks are rejoicing. There is a very big expectation for the girls’ first album because their mini album did great. I liked it too. The EP did not show much of the girls’ vocal range but it did show their versatility. There was also a consistency in the musical style that the girls’ were trying to convey to their audience. The song is very 2NE1 or rather very YG. I can categorize this with Fire and Pretty Boy. I don’t know if that is good or not but at least the composers stuck to the style 2NE1 is pursuing. However, I had issues with the excessive processing of the song. I can barely understand what CL and Minzy were saying in the opening verse, which is quite weird because I can usually follow what they are singing even though it’s in Korean. As expected… beats, buzzes, and lots of them. This is a hip hop song so I don’t expect percussions. Parts are very repetitive. It feels I’m listening to the same thing for almost three minutes. It weren’t for the bridge, I’d totally despise the song. I don’t dig the song right now. I’m hoping the live version would be better. Again, the opening verse is heavily processed, which is quite unfortunate because I think this is more musically pleasing than Can’t Nobody. The electric guitar employed in the refrain and chorus has contrasting effects. It highlighted CL’s voice but it drowned Bom’s. Where is Dara in this song? I barely heard her. Overall, the song is better than okay. I would have loved it if it weren’t for the heavy processing. Very hip-hop. I can easily identify Kush aka E. Knock as the composer. A rapping Dara is a fresh welcome though it’s unfortunate that CL has to follow her because it easily highlighted the difference in their rapping skills. I don’t love or hate the melody. It’s what I expect again of a hip hong song. I still think this song also has also been heavily processed. Oh men. I’m Busy is a lot more annoying than Can’t Nobody. It’s very electronic and heavily autotuned. If the songs in this album were people, Can’t Nobody, Clap Your Hand and I’m Busy are siblings. I won’t go further because I might end up dissing the song. Thank you. Finally a slow song and it’s a reggae. Hmm. I already know 2NE1 can pull off something like this. There’s nothing stunning about the arrangement but I always welcome a song that demonstrates 2NE1 vocal capabilities. Oh wait. I hear no Dara here. Where is she again? The song complements Bom and Minzy’s voice lot. I like it better when they give Bom parts that don’t require too much belting. CL is okay. She is in tune but she sounds a bit squeaky here. Sorry. This easily won as my favorite in the six new tracks. Gorgeous piano introduction. Minzy and CL parts could have been better sans the processing. Not loving the chorus and bridge so much. They missed what could have been a great peak using Bom’s voice. Minimal Dara again. appreciated in songs with lower pitch or key (whichever is correct). Another old track. The way they intersperse CL and Minzy’s parts is very random but I am okay with it because I can hear clearly how they can be both a rapper and a singer. I am also holding to that little faith of mine that I heard some form of vibrato here. Kiss can be slightly annoying when you put it on repeat it but the good thing about this song is it fits Dara’s voice. She’s neither a great rapper or singer so I’m glad they made something that will not put her into too much limelight for not being able to hold on her own. This was used for an ad so I understand why this song is so uhhhh. Oh. This could also so count as a sibling of the previous songs I’ve mentioned. I love this better than the original version of I don’t Care. A better showcase of 2NE1’s vocals. Great arrangement. CL and Bom are so good here. Need to say more? The processing is almost the same as the Korean version but surprisingly I found the English version less annoying. I wonder why? I still can’t understand what they are saying at the start. Some of the new tracks are good while some are just bleh. I think the non-title tracks outshine the title tracks. I’m all for hiphop but I think the heavy processing was not necessary. 2NE1 have already proved with Fire and Pretty Boy that they can pull off upbeat songs without the need for too much autotune. The slower songs are refreshing. 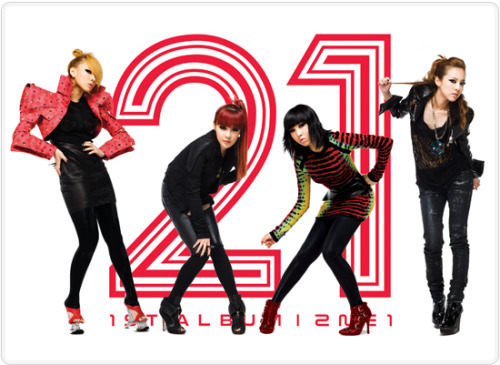 I would want to hear more songs of this kind from 2NE1 though I don’t want them to do away from their hip hop origins. Anyhow, this is still a solid 2NE1 material. It’s the kind of songs I expect from them. It’s the kind of songs I expect YG to produce. At least they know where do they want to take 2NE1. They have a solid image of what kind of musical style they want to pursue. This entry was posted in Uncategorized and tagged 2NE1, album review, To Anyone. Bookmark the permalink. I am nerdy, techie and inquisitive at heart. I love reading books, exploring new places and tinkering my camera and other gadgets. Every now and then, I also like to sing in different languages, watch Asian shows till the wee hours of the morning and get lost in thoughts while observing people and figuring out the world. Cheers to 10 Years of Friendship! A Thoughtful Paper by milaiski is licensed under a Creative Commons Attribution-NonCommercial-NoDerivatives 4.0 International License. If you open your eyes, you'll see.